This article is sponsored by OptionBit which is our recommended broker for trading oil with binary options. It is true that this is a binary options trading blog, but the truth is that the principles we shall talk about cover all assets traded in the binary options market. So we will select an instrument that is traded on the binary options platforms of many brokers to illustrate a typical trade strategy, and that asset is crude oil. 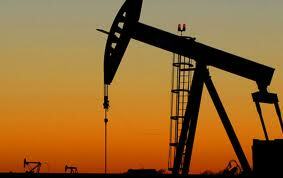 Many traders are familiar with trading currencies, but very few trade crude oil. As such, they are in a position where they are leaving a lot of money on the table. This is supported by the fact that the same technical analysis principles used in forex analysis are virtually the same principles used in technical analysis of any other instrument. What is good for the goose definitely has to be good for the gander as well. Let us examin a binary options trading strategy that will employ the use of the Fibonacci retracement tool, this time not as a strict retracement tool but as a tool that can be used for range trading. Look at this daily chart for crude oil (CLJ1). This was the chart occurring at the time when the Libyan civil war was raging and crude oil prices had really taken off from $84 to slightly above $100 a barrel. This kind of trade is a dicey one, because the fundamentals that were pushing crude prices were ones that could not be predicted. This was a war situation. Any shift in the dynamics of the war would immediately cause a shift in the behaviour of the underlying asset. This was what was playing out here. Prices were rising as no one knew how long the war would last. As battles for the Libyan cities raged and towns were taken, lost and re-taken by the opposing fighters, prices were doing a dance. In this sort of scenario, it is extremely important to pay attention not just to the fundamentals, but to the technicals as well. You may have heard the saying: trigger fundamentally, enter technically. What this saying means is that the triggers for direction are the fundamentals (the news), while technical plays enable the trader to make the correct entry in the direction of the fundamental trigger. As it became obvious that the war was going to last for sometime as talks and mediatory efforts broke down, traders settled in for a long ride upwards. But this is where the technicals came to play. 1) Touch option with an upside barrier above the neckline level of $92.40. 2) No Touch option with a downside barrier below the double bottoms at $84.80. 3) “High” trade (or “Rise” on Betonmarkets), betting on prices staying above the neckline of 92.40. 4) “Out” boundary trade using the price barriers of the neckline as upper barrier, and the double bottoms as lower boundary. This trade outcome would have netted the trader at least 400% returns with a one-week expiry. 1) Touch trade, setting the 39.2% retracement line (or more ideally a point between 10 and 20 pips above it) as the strike price. 2) No Touch trade at a point 10 pips below the 50% retracement line (valid only if the 39.2% retracement support is a strong one). The other binary trade types would be too risky to trade in this situation so we leave them out. Hope this short strategy lesson is well understood. We used this for crude. You can use it for any asset in the binary options market.